I was looking for a sand paper the other day in a hardware shop. I want to use the sand paper for removing some stain marks and corrosion marks on a metal column before applying metal paint. Now, we have more choices for stain removal. I was introduced for a sanding sponge for surface stain removal. The hardware shop owner told me the sand sponge is the latest product for surface stain removal. 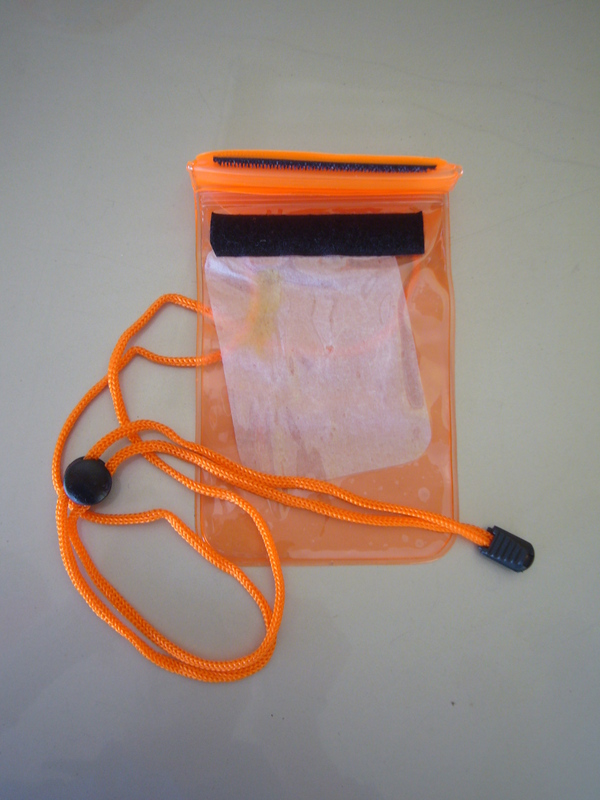 The abrasive bonded on the sand sponge is more secure than sand paper and the size is also favour on holding. I know the sanding sponge is slightly expensive than sand paper, but why not giving it a try. At least I could test the latest technology in the industry. The sponge comes in quite handy size, about 95mm length by 45mm width. 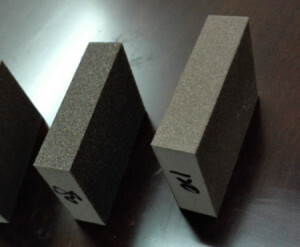 They have 3 difference kinds of abrasive size, coarse, medium and fine abrasive. I am selecting the coarser sanding sponge as I have to remove the corrosion mark on the metal column. Easier in handling the sponge during the stain removal process. The abrasive is better or long lasting while removing. More convenient while removing the edge or inner surface. The sponge stiffness able to withstand polishing process. The abrasive bonding on the sponge is very good, not easy to drop off. I do perform in depth understanding about sanding sponge after using one for myself. I found that currently not many sellers in Amazon are selling sanding sponge besides 3M. Maxwaytec Engineering in Malaysia is one of the sellers for sanding sponge. They could be one of the sanding sponges OEM for Malaysia market. There are many manufacturers of sand paper in the market, this could be one of the reason we may feel wide variant on sand paper product quality. 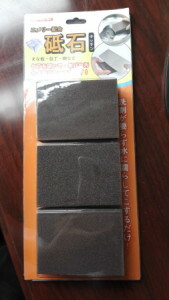 Whereby sanding sponge is new in the market and the product quality is bench marking with 3M. This could be one of the reason I am seeing some advantageous on sanding sponge compare with sand paper. Sanding sponge is a new product and it should not observe as a replacement for sand paper. 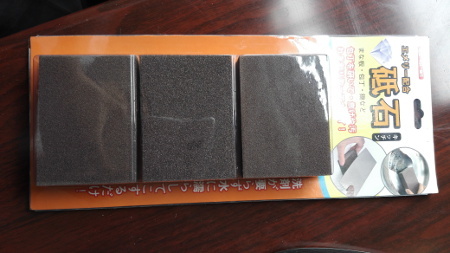 Common user will choose for sand paper instead of sanding sponge because of price driven. I think sanding sponge should target for other application such as stainless steel surface polishing which more demanding on polish result. Next time while you are looking for sand paper, make sure you consider to try a sanding sponge to experience the difference. This entry was posted in Gadget, Uncategorized. Tags: industrial use, sanding sponge, stain removal, surface finishing.